I knew studying abroad in Rome would be a great opportunity to see the world while also getting an education. It's a once-in-a-lifetime opportunity that I just couldn't pass up. This dream of mine was solidified after I went to Europe for the first time two years ago. The entire time my family and I were in Europe, I knew I would want to come back and that our trip simply wouldn’t be enough. 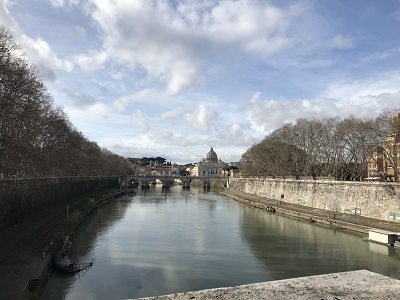 The view of the Vatican in the distance while walking over the Tiber River. 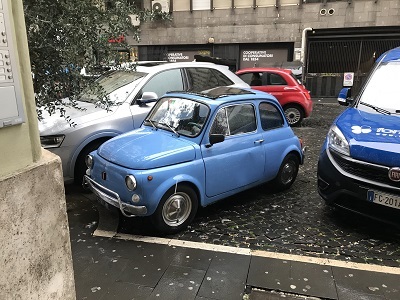 Rome was one of our stops on our trip and I absolutely loved it. Studying in Rome was practically nonnegotiable, so that helped me narrow down which program I wanted to go abroad with. CEA had a really good system for keeping me informed even before I applied. I had someone at the CEA office in Phoenix always emailing and calling to see if I had questions and providing really helpful information. The extra time they gave me to answer all of my questions really made CEA stand out. 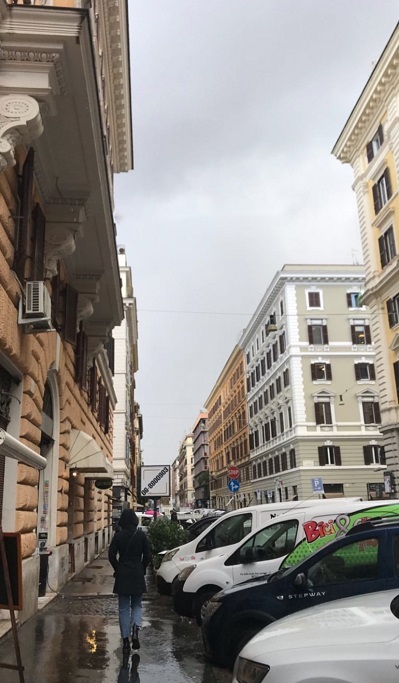 A photo of me walking to orientation on a rainy day in Rome. Studying abroad is obviously a nerve-wracking experience. No matter how I excited I was, there were still fears lingering in the back of my head before I left. Will I make friends? Will my roommates and I get along? Am I really going to like living in another country? These were some of the things that I questioned in the final weeks leading up to my departure date. The closer January 14th came, the more these questions swirled around in my head. Whenever I talked with friends and family I never really talked about these things because I was genuinely so excited and I didn’t want these concerns to worry anyone at home. 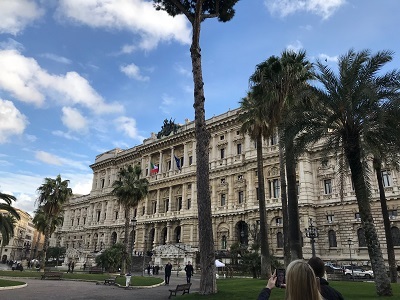 The Palace of Justice on Piazza Cavour, which is only a three-minute walk from my apartment! Now that I’m in Rome, I can say with complete certainty that these fears, while definitely rational, are not a big deal. CEA set us up in an amazing apartment in the heart of the Prati neighborhood and they did a great job choosing my roommates. Although I have only been here in Rome for a week, I already love living here. It still doesn’t feel real to be walking around Rome every day and it definitely doesn’t feel real that this is going to be my home for the next four months. My typical view walking to class. 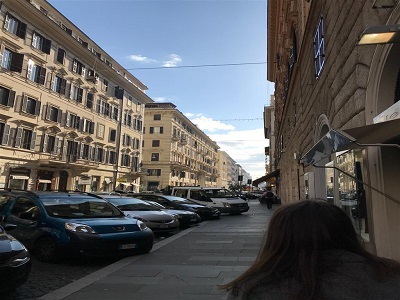 Megan Reid is the Spring 2019 CEA MOJO Blogger in Rome, Italy, and is currently studying at University of Alabama.